Please help Prince by sharing this page! 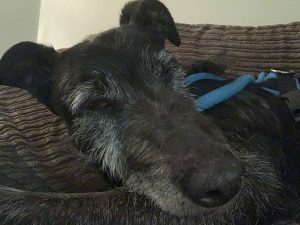 Peace-loving Prince is a 10 year old Lurcher X Deerhound in foster care in Canterbury, Kent through Kent Greyhound Rescue. 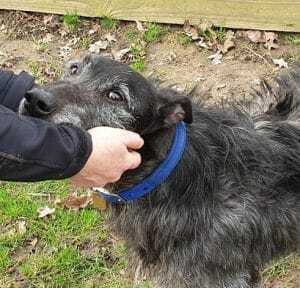 He’s a very affectionate boy looking for a relaxing retirement home. He could live with older children who respect his need to lounge and snooze sometimes. 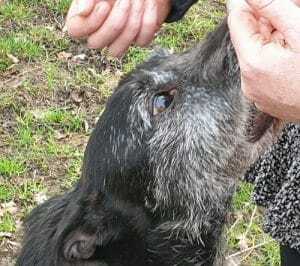 He really loves fuss and the more love that comes his way, the better. Whoever is lucky enough to adopt him, must ensure his fuss levels are kept up! 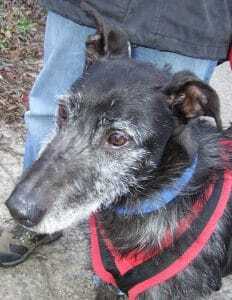 Prince enjoys his walks and gets on well with other dogs he meets. 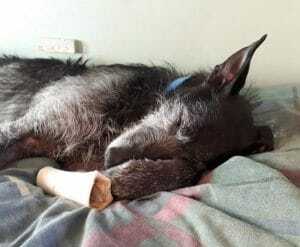 He was previously in a very stressful environment with too many other dogs. So, these days, he wants to be the only pet at home and enjoy having all the attention to himself. Prince is both calm and soppy. A real pleasure to have around. He’ll take you out for lovely walks and be a steady, contented companion. 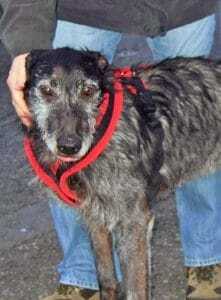 Or to fill in their online adoption enquiry form click here. 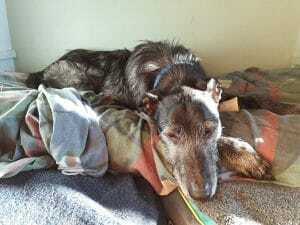 Please say you saw Prince featured as Old Dog of the Week on the Oldies Club website. This replaces Prince’s original page dated 26th December 2018.